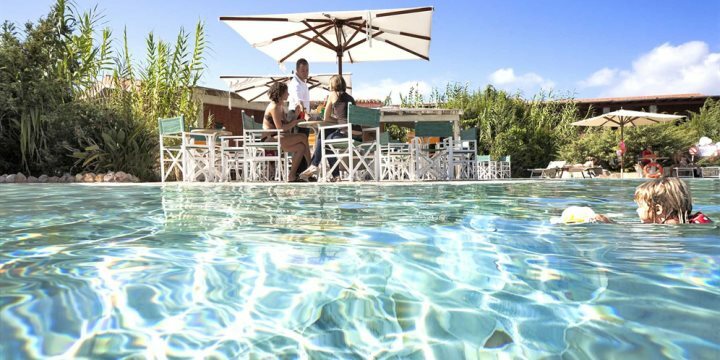 Located in Badesi on Sardinia’s north-west coast, Le Dune Resort & Spa is an ideal choice for families due to its impressive array of facilities and extensive grounds. 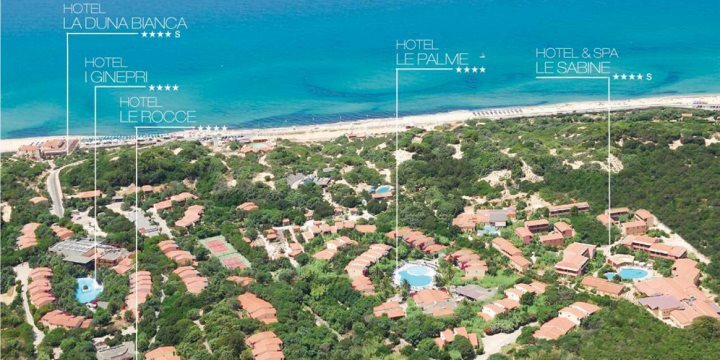 Four-star Le Palme, I Ginepri and Le Rocce, plus four-star superior Le Sabine and La Duna Bianca are the five hotels which complete Le Dune Resort, all spread across an impressive 69 acres of Mediterranean maquis-filled grounds. Four of these five hotels can be found via meandering pathways through tall green vegetation, with La Duna Bianca positioned close to the expansive white sands of Li Junchi Beach, which is spread magnificently before Le Dune Resort. Li Junchi – pizzeria and Italian cuisine, with house wine, draught beer and soft drinks included. 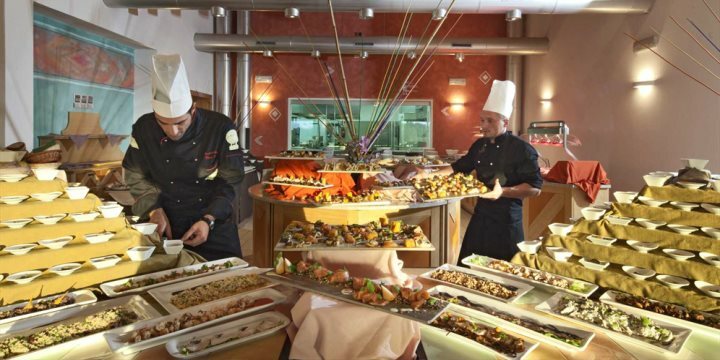 Il Leccio – Mediterranean cuisine. Wine is available at a supplement. No supplement required for children up to one year, or for guests staying at Le Sabine or La Duna Bianca. Please note, the opening of restaurants and bars is at the management's discretion. 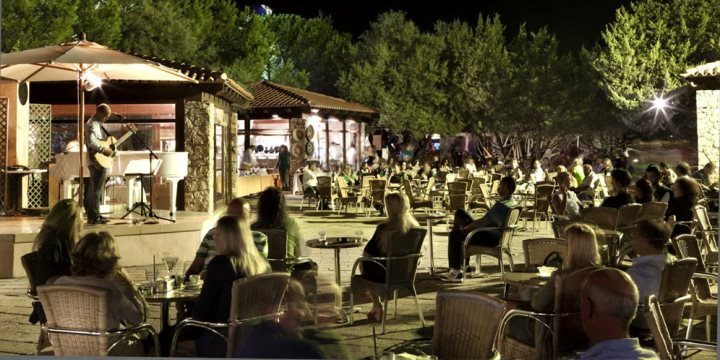 Keeping the children entertained is easy at Le Dune Resort, as not only is there evening entertainment in the Piazzetta, but there’s also children’s clubs from babies through to teens, playgrounds, and a variety of sports facilities such as tennis courts, a football pitch, beach volleyball and archery. 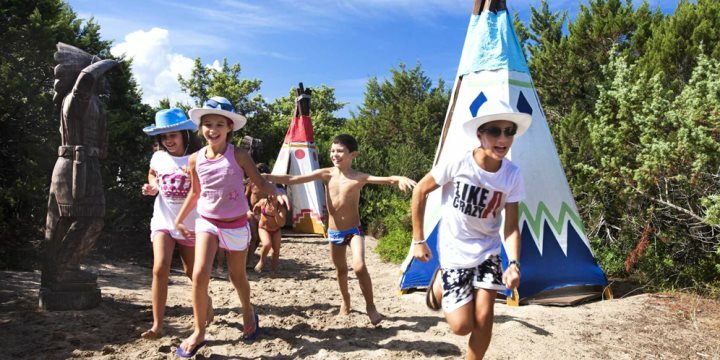 Large inflatable slides plus forts in the sand within the ground’s vegetation and creative workshops provide endless entertainment for the youngsters, and there’s even a secret (non-alcoholic) bar for teenagers. All this along with an amphitheatre, an organic vegetable garden and animals to visit – you might find your children never want to leave! Not only will you find no less than six swimming pools dotted across the complex for a relaxing swim, but when you want to enjoy a slice of complete tranquillity, you can indulge in a treatment or two at the adults-only wellness centre and spa. 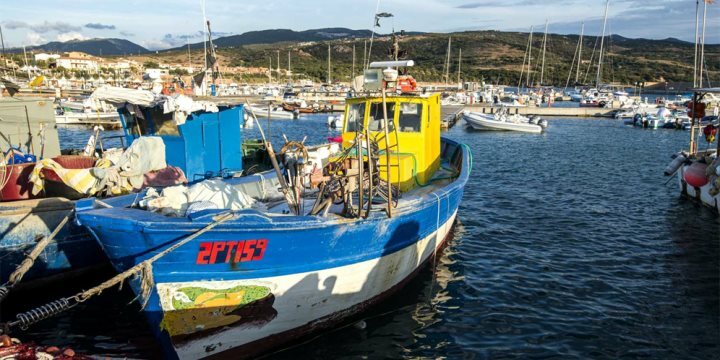 There’s a Piazzetta which is home to a variety of shops selling everything from jewellery and art to ice cream, plus there are several excursion organisers for exploring outside of the resort. The beach is equipped with parasols and sunbeds most of which are free of charge for guests, and several water sports including windsurfing, sailing, diving and sport fishing can be done from the beach (payable locally). Four tennis courts, an illuminated five-a-side football pitch, basketball court and beach volleyball area are also on-site, which are all free for guests to use at their leisure. Heading 10km north along the coast you can explore the quaint little village of Isola Rossa, offering a selection of shops and restaurants along with another beautiful beach, or for a particularly authentic Sardinian experience, head further north to the Gallura region, where many small traditional villages are waiting to be discovered.